Mysore Raspberry, also known as Snowpeaks or Ceylon Raspberry is a warm weather producing black raspberry variety! It is native to the Southeastern United States as well as Burma and India, specifically the lower Himalayas. Mysore produces juicy and sweet black raspberries that are rich in Vitamin C and Protein. 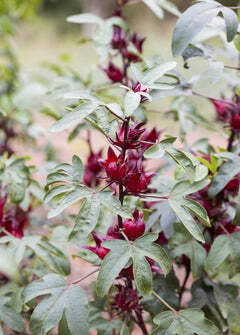 It will grow well in a wide range of growing conditions and loves the tropical heat and humdity. Mysore has some serious thorns, however their are great rewards for those who brave them. Harvest Season: Blooms and fruits throughout the year however the best crop is produced throughout Spring and early-Summer.